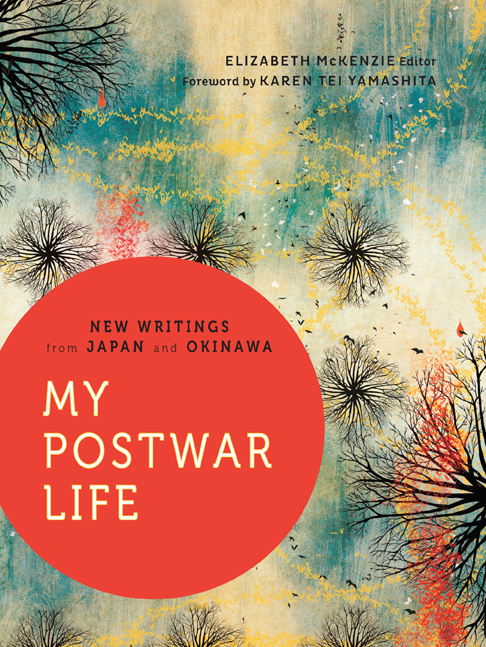 My Postwar Life is a collection of new writing from Japan and Okinawa. The collection includes fiction, poetry, and essays by authors Deni Y. Bechard, Christopher Yohmei Blasdel, Hiroshi Fukurai, Ryuta Imafuku, Setsuko Ishiguro, Roland Kelts, Mari Kotani, Janice Nakao, Kim Shi-Jong, Keijiro Suga, Iona Sugihara, Goro Takano, Stewart Wachs, Stephen Woodhams, and Kentaro Yamaki. A few of the the authors, including Leza Lowitz, Shogo Oketani, Tami Sakiyama, Takayuki Tatsumi, and Katsunori Yamazato are past contributors to MĀNOA Journal. Also included in My Postwar Life is a play by Masataka Matsuda, an interview with the former mayor of Nagasaki Hitoshi Motoshima, photography by Shomei Tomatsu, and a series of scans made from the illustrated journal of a soldier in the Imperial Army. Elizabeth McKenzie’s story collection Stop That Girl was short-listed for The Story Prize, and was a Newsday and School Library Journal Best Book of the year. Her novel MacGregor Tells the World was a Chicago Tribune Best Book of the year, a San Francisco Chronicle Notable Book, and a School Library Journal Top Ten Book of the year. She has received a Pushcart Prize for her short fiction, which has been included in The Atlantic, Best American Nonrequired Reading, Threepenny Review, TriQuarterly, and other literary journals. She was the recipient of a National Endowment for the Arts/Japan-US Friendship Commission Creative Artist Fellowship, and is the editor of My Postwar Life: New Writings from Japan and Okinawa, published in 2012.